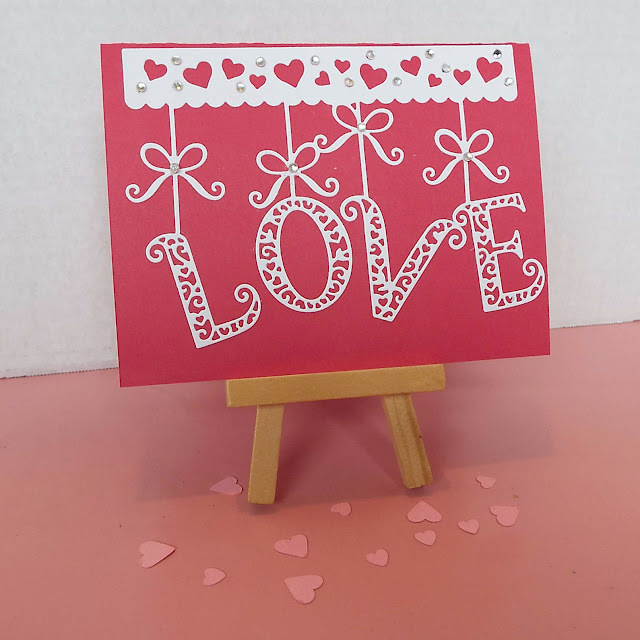 Hi everyone, Deanna here with another quick and easy card that I made for the Dies R Us Inspirational Blog, that could be used for Valentine's Day, an Anniversary, Wedding, or anytime you want to tell someone you love them. Here is what I made. To make my card, I started out with a reddish pink card stock that I cut and scored to make a 4 1/4" 5 1/2" card base. Next I die cut my image from white card stock. This die measures about 5 1/4" across and is from the Tutti Designs Hanging Love die. I did use the adapter plate when I cut this die as it has some very small and fine detail cutting areas. 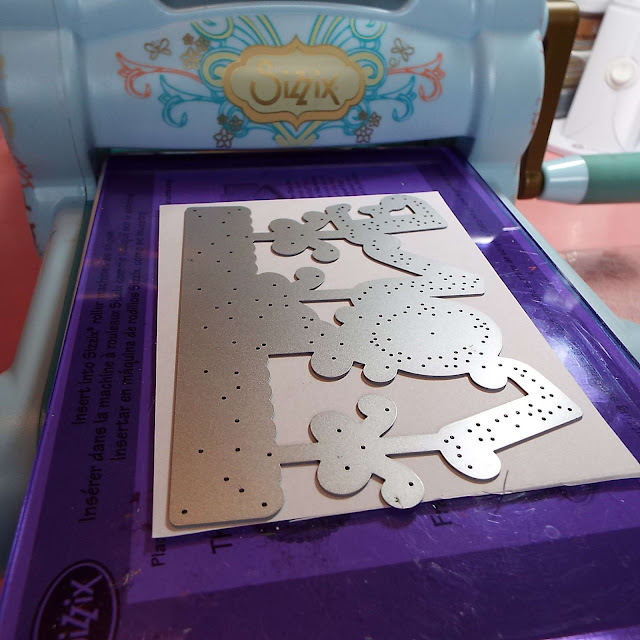 It is so worth getting the adapter plate and you can use it with other fine detail dies besides Tutti Designs and it makes for a much better cut of all the fine detail dies out there like Tutti Designs. Next I adhered the die cut to my card base and added some rhinestones and the card was done. What a sweet card Deanna! The rhinestones add a nice touch of bling to this pretty card! Easy and sweet ... just beautiful Deanna! I too love the touch of sparkle! Great job! 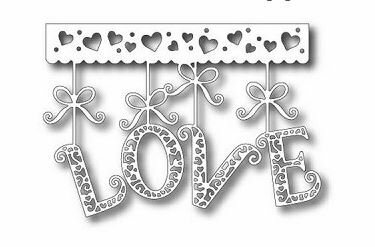 Oh my that is so pretty, I love the detail swirls in the lettering, that would be great for many occasions like you said, so sweet! A very quick and easy card. I love that die!